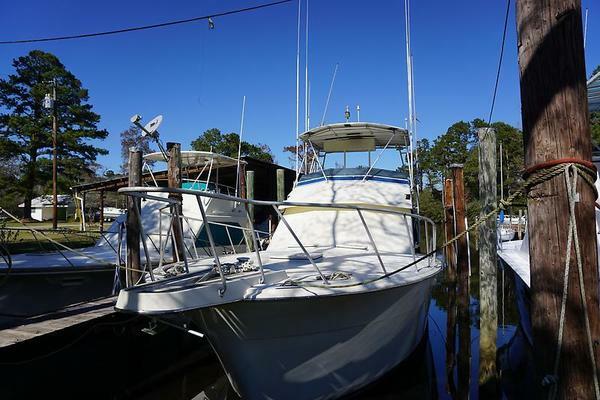 "Pentwater" is a great find!She's a clean, upgraded and well maintained 54 Hatteras, with the desirable Caterpillar 3412's.New Garmin electronics and enclosure on her huge bridge, an Awlgrip Fighting Lady Yellow paintedhull,and a significant amount of detail to her New England beach theme interior.Set up to cruise or fish, she's well-suited for both, from rocket launchers, outriggers and trolling valves, to her Marquipt Davit. This boat covers the bases well beyond the fact that she's a great ride too! 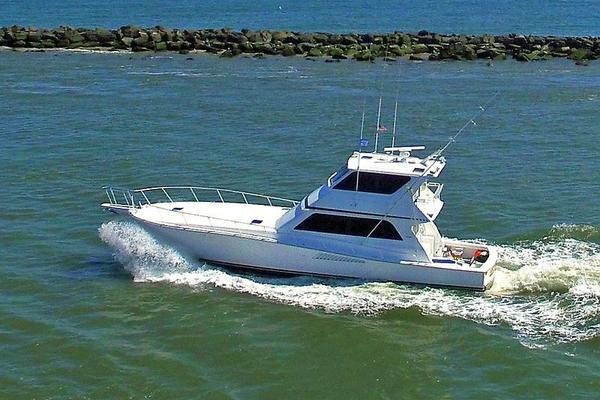 United Yacht Sales New Jersey would love to guide you through a personal showing of this 54' Hatteras Convertible 1995. 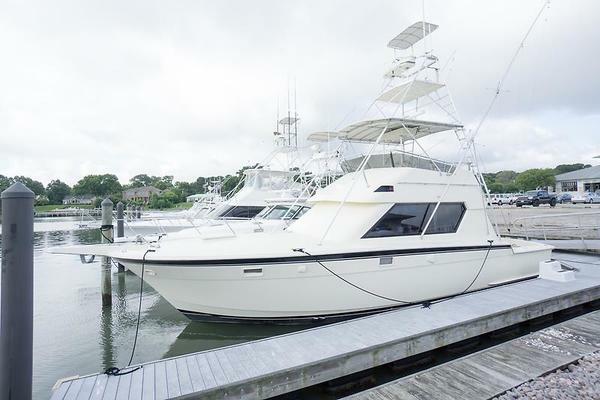 This yacht for sale is located in Westbrook, Connecticut and priced at $329,000. For a showing please contact us by filling out the form on this page and we will get back to you shortly! Unrivaled deep-water performance and multiple cockpit arrays make the Hatteras 54 Convertible an ideal fishing machine. The interior features make it a true world-class cruiser. This craft offers three staterooms, two heads, and a diagonally-placed galley with dinette. The 157-square-foot cockpit includes bait and tackle center,fishbox, and freezer. Large salon with "L" shaped settee to port, Amico salon entry, and 4 leggedchairto starboard. The galleyininthe salon forward to port, with updated Amtico flooring, updated granite countertops throughout.Opposite the galley is a large dinette. Belowdecks amidships is the master to port withen suitehead, the second guest stateroom is opposite with 2 bunks, anden suiteaccess to the guest head.Forward is a large VIP stateroom with entertainment system, overhead hatchandgreat storage.